The CSR102x Smart Remote Application Board (Part #: DB-UENERGY-AB-10243) is a fully featured application board intended to showcase human interface device (HID) features of the CSR102x product range. 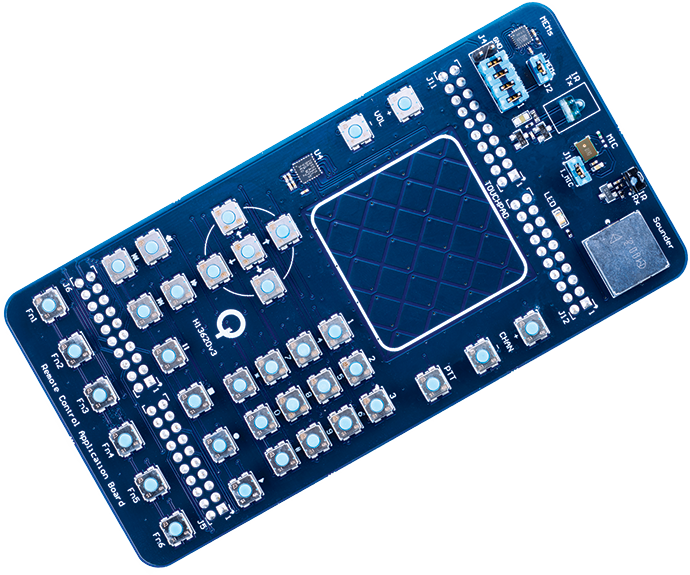 The board is comprised of multiple IO peripherals to demonstrate a comprehensive set of low power, high performance human machine interfaces powering the next generation of wireless remote control solutions. The board is intended for use with a host development kit, for example the CSR102x Professional Development Kit, and must be fitted to the interface pins on the host development kit. A suite of software tools is available to download (the SDK HID Application Package). The kit contains a plug in module intended for use alongside a host development kit, designed to showcase the key features of the SDK HID Application Package.